Coffee is one of the most popular beverages in the world. You can’t walk through a city street without passing a coffee shop or two along the way. Coffee is so universal that you don’t have to worry about whether you’ll find your morning cup, or your afternoon pick-me-up. It’s everywhere! And one of the main aspects of many international cultures is drinking coffee, whether it’s for breakfast, as a social event, or with dessert after a long dinner. No matter where you are in the world, you’ll find a unique coffee and a unique way of drinking it. Do you know just how many different coffee varieties there actually are? If you didn’t before, you will shortly, as we look at where to find the best coffee in the world, and how to order like a local. Also check out our guide on the best beer cities and the best countries for tea drinkers. The French know a thing or two about luxury, and when it comes to their beverages of choice, things are no different. Cafe au lait is one of the most popular coffee beverages in the world. Literally translating to coffee with milk, cafe au lait is made from freshly ground coffee beans which are steeped in water, with hot milk added. The main difference between white coffee and coffee au lait is the fact that the milk which is added is hot, instead of cold. Served the French way, cafe au lait is traditionally served in white porcelain bowls or cups. No trip to France would be complete without a trip to a coffee shop where you can enjoy a traditional cup of French coffee, perhaps with a fresh pastry. Up next we’re heading to slightly warmer climes and are visiting Greece. Greek Frappe coffee was thought to have been created back in 1957, during the Thessaloniki International Fair. It is thought that a distributor working the fair at the time, grew thirsty, and, in the heat, required a cold drink. Unfortunately there were only facilities for making hot beverages, unless he wanted plain water. He grabbed a shaker cup, added instant coffee, topped it off with water, and gave it a good shake. The mixture took on a pleasant and frothy consistency, and it tasted amazing! Frappe coffees traditionally have very thick foams on the surface, so thick in fact, that they resemble whipped cream. Available in granulated and powdered form, frappe coffee provides a cooling and refreshing beverage during the hot summer months. Did you know that Colombia is the third largest producer of coffee in the world? They are the largest producer of arabica coffee beans in the world. When you travel to Colombia, you notice the coffee culture right away. Not only are the major cities now full of great coffee shops, but their love of coffee permeates the culture in many ways. In 2007, the European Union granted Colombian coffee a protected designation of origin status. In 2011, UNESCO declared the “Coffee Cultural Landscape” of Colombia a World Heritage site. While much of the best coffee produced there was once exported out to places like the United States, Germany and Japan, where the coffee could fetch the highest price, these days more of the best coffee is being kept in the country for locals to enjoy. Cappuccino is one of the most famous Italian beverages in the world, and is available in pretty much every eating establishment you can imagine. Cappuccino drinks were first created in the early 1900s, not long after espresso machines came to fruition. Made from espresso coffee and a mixture of water and frothed milk, as time went by and technology began to evolve, so too did the cappuccino. Cappuccino is made traditionally with top quality espresso, and is topped with steamed and frothed milk, before being dusted with things such as cinnamon, cocoa, or even powdered coffee. Served in a small white porcelain cup, cappuccino coffees look almost as great as they taste. If you haven’t yet attempted to order coffee in Italy, there are a few things you should know. Check out this guide on the 10 commandments for ordering coffee in Italy. So far we’ve been fixed firmly in Europe, so let’s look slightly further afield, namely to Turkey. Turkish coffee is steeped (pardon the pun) in history and tradition. You see, the Turkish method of brewing coffee is considered to be the oldest in the world. It’s thought that coffee grounds had been cooked with water since the early 15th century in the region. 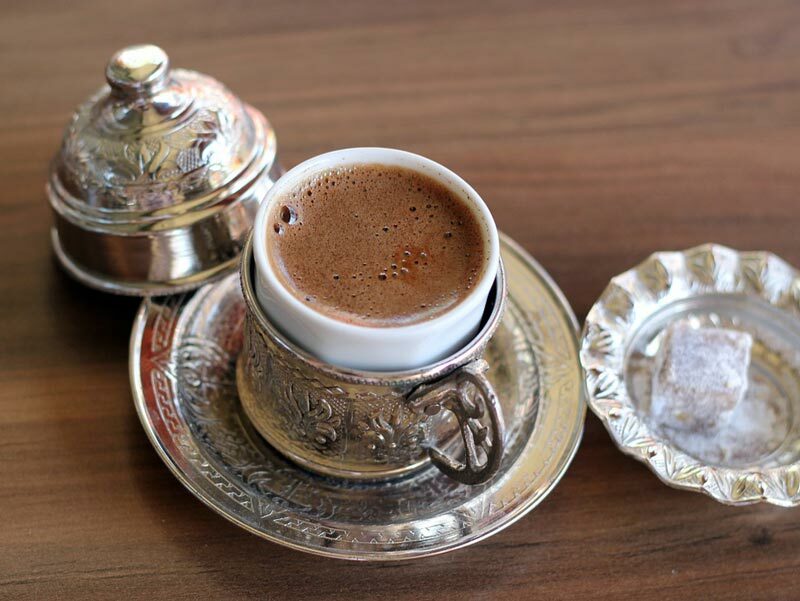 Turkish coffee is unfiltered and is boiled very slowly, rather than rapidly. This helps to mature the flavors and build depth. If sugar is added for sweetness, it is added before the boiling process, rather than at the end. Here, a third of the coffee is poured into cups, with the remaining two thirds being heated once more. Once it reaches a gentle boil again, the remaining coffee is distributed between the cups. Traditionally it is served in the morning, as the Turkish word for breakfast literally translates to ‘before coffee’. Jamaica is a tropical paradise that is home to some of the most wonderful coffee the world has ever seen. Blue Mountain Coffee is grown in the blue mountains of Jamaica, and it is one of the most decadent and expensive coffees in the world. Thanks to nutrient-rich soils and hot tropical sunshine, the coffee beans used in blue mountain coffee are of the very finest quality. The coffee is fragrant, yet rich and deep, and is best enjoyed as you sit back, relax, and take in your surroundings, just like the Jamaicans. Grown on the sides of two huge volcanoes in Hawaii, Kona coffee is unique in many ways. The volcanic minerals in the ground, along with the highly porous soils, help make Kona coffee one of the best varieties in the world. With optimal conditions providing mild temperatures, along with plenty of sunshine and decent amounts of rain, the coffee plants thrive here. If you’re ever visiting Hawaii, you’ll notice that they’re very proud of their coffee and many places serve it exclusively. Sumatra coffee is from the western-most island in Indonesia of the same name. Sumatra’s famous Mandheling coffee is grown on volcanic slopes that have a prime, rich soil perfect for producing the flavor profile that is unique to this coffee. While Kona coffee is red in color in the raw state, Sumatra coffee has a blue tint. They use a method giling basah to process the coffee beans, which leads to an often intense and complex flavor. While the coffee has a smooth and sweet body, it’s also quite powerful. Indonesia has long been the 4th-largest coffee growing nation in the world. When in Cuba, order coffee as the locals do and you’ll receive a Café Cubano. The coffee beans are a Cuban espresso, but the process differs in that whipped sugar is added during the brewing, which helps to form the signature espuma, or creamy head, that rises to the top when the coffee is poured into the glass. Cafe Cubano is relatively sweet, so if you don’t like your coffee sweetened you might not appreciate this form. 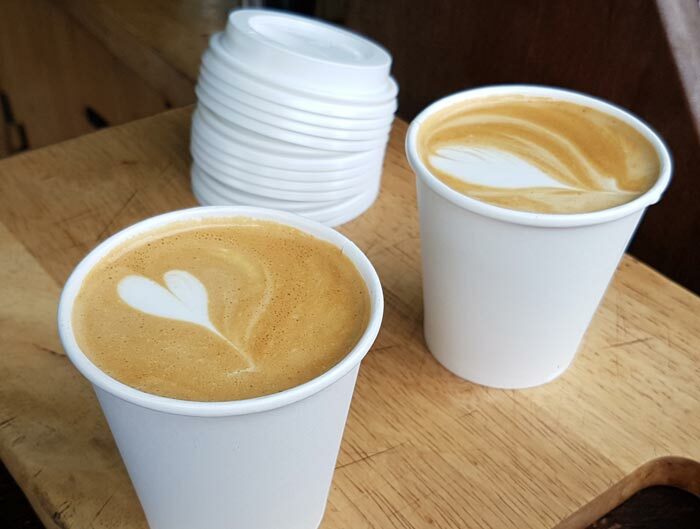 Flat White – Australia or New Zealand? There’s some debate over where exactly the flat white was invented – was it Australia or New Zealand? While the row rages on, we’re just happy that someone had the foresight to create such a wonderful drink. It wasn’t until Starbucks started serving it that most of the world learned about it, but now it’s rightfully caught and you can order it just about anywhere. You may not be able to truly tell the difference between a latte and and flat while, however. They are very similar drinks – steamed milk and espresso. The flat white is just slightly stronger than a latte. No matter what you typically drink at home, the best coffee in the world will surely tempt you to venture outside your coffee comfort zone and be introduced to bold, interesting, and often intense flavors. Trying coffee when you’re traveling, and practicing ordering like a local, is a great way to spend some time on your next trip. I fell in love with Turkish coffee while living in Istanbul Laura. Awesome drink. Light, and tasty, a little shot served in the traditional glass is the way to go. Grab your baby spoon, stir in 1-2 sugar cubes if you do not like it black and enjoy. No milk, no cream. I think one of the reasons I like it so much is because it’s so powerful in such a small dose, and of course the traditional glass! I totally agree, Rob and Ann. It makes me want a cup too! We really loved Turkish coffee, and I think a big part of the experience is the fancy cup they serve it in!